A big thank you to all of our anglers who participated in the Bending Branches giveaway and helped to make it a success! Special thanks to our sponsors, Bending Branches, who were so generous to give away one of their prized paddles and some other prizes. 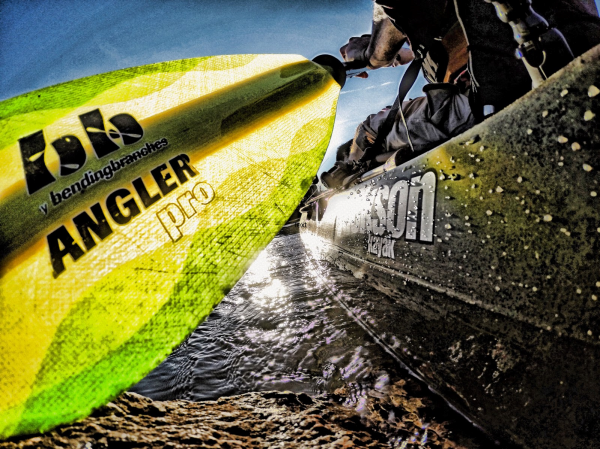 Ben Rangel won our first prize, the Angler Pro ($330 value) - a kayak paddle that was designed by professional kayak anglers specifically for kayak fishing. Second prize, a Columbia Long-Sleeve Shirt and Hat ($120 value) goes to Pat Hummert and the winner of the third prize, a Bending Branches gaiter and hat ($42 value), is Richard Hoffer. Congratulations to all the winners! You will be receiving an email shortly regarding your prize. If you don’t hear from us within the next 24 hours, please shoot us an email. We hope to get a photo from Ben when he tries out his Angler Pro for the first time. The winners were randomly selected via Rafflecopter. Keep an eye out for our newsletter, Facebook page and be sure to regularly visit Yakangler.com to stay up to date with any new giveaways we might be hosting. We hope to have some more great prizes in store for our readers this year! congrats to the lucky winners! Way to go guys!